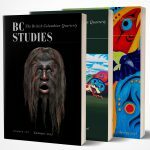 BC Studies publishes original, peer-reviewed articles on British Columbia’s social, cultural, political, and economic life, past and present. Articles represent research by a diverse group of scholars and students. The average article length is thirty-five to forty double-spaced pages (this includes footnotes, references, illustrations, photographs, maps, and tables, and is equivalent to approximately 9000 words) although shorter and longer submissions will be considered. PLEASE NOTE: each full page table, map, photo, or other illustration is equivalent when published to 450 words; a half page figure is equivalent to 225 words. You must first register as an author and then follow the submission instructions. Deadline: we will accept submissions on an ongoing basis.